Henderson Chokes Out Thatch in Broomfield, What's Next For Winners? Benson Henderson weathered an early storm to dispatch Brandon Thatch with a choke-hold as he made the step-up to Welterweight in Broomfield. With all the action in the books, here is recaps for each fight and also what's next for the victors. Moontasri looked great in his 2nd octagon fight. He landed a series of knees that hurt Pfister and knocked out his tooth. In the 2nd, he capitalized and got the RNC victory and his his 1st UFC win. Skelly showed his improved standup skills against Alers and a 2nd round TKO victory. Skelly isn't ready to step up in competition to much, but I have some options. Makovsky's technical skills earned him the unanimous decision victory over the tenacious Elliot. Makovsky earns a much needed win and gets back on track at 125. Escudero finally gets a win in his 3rd stint and it was well deserved. He rocked de Lima multiple times and showed some improvement. Ray Borg continued his success at 125 with a 3rd round submission of Kelades. Borg is one of the best prospects at 125, and I think he needs a slight step up in competition. Kevin Lee made a statement with a unanimous decision victory. Lee is easily one of the divisions best prospects, and needs another solid test. Kelly got through a sloppy performance over the tough and durable Walsh. Kelly still needs work on his skills, but he is still undefeated. Magny dominated this fight for the mostpart on got the 3rd round submission victory. Magny is now on a 6 fight winning streak and needs a big step up in competition. Despite a couple of unintentional head butts, Holloway looked great. Holloway is a legit contender with his only losses coming to Poirier, Bermudez, and Mcgregor. It looks like a showdown with Cub Swanson is next in his future. Henderson showed us why he is a great and elite fighter. He stepped up a weight class and finished one of the best prospects in the division after being picked apart early. It was a truly, inspiring performance by Bendo. It's just a matter of if Bendo wants to stay at 170. What's Next? I think a fight with Tyron Woodley at 170 would be great, but if not the winner of Masvidal/Iaquinta at 155 would be good as well. TheSportMatrix • We Live For Sport: Henderson Chokes Out Thatch in Broomfield, What's Next For Winners? 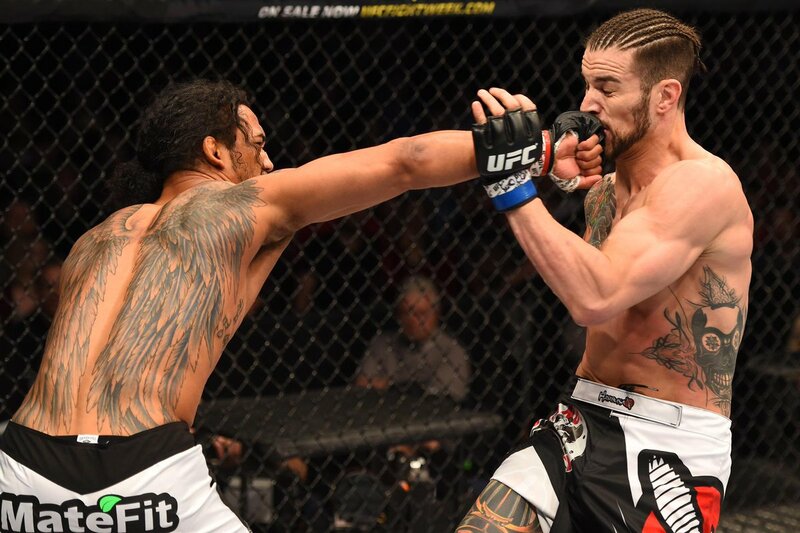 Benson Henderson steps up to Welterweight and finishes Brandon Thatch at UFC Broomfield.